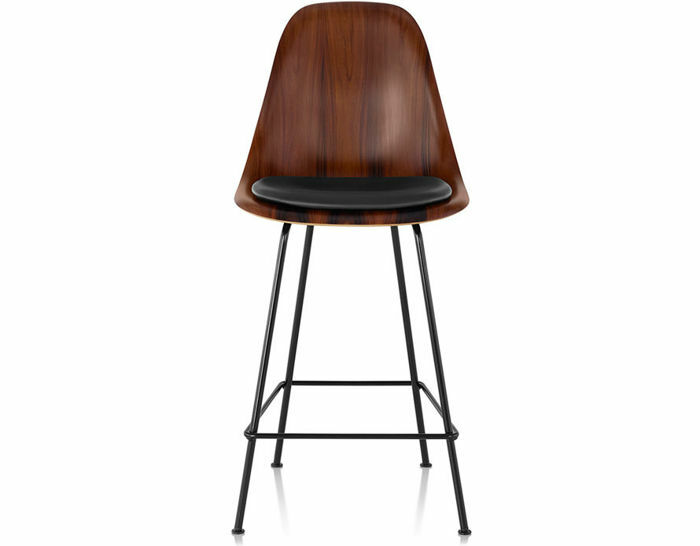 The authentic form of the Eames stool is the result of a process that gives wood veneer the extra flexibility it needs to be molded into the complex curves of a single-from wood shell. 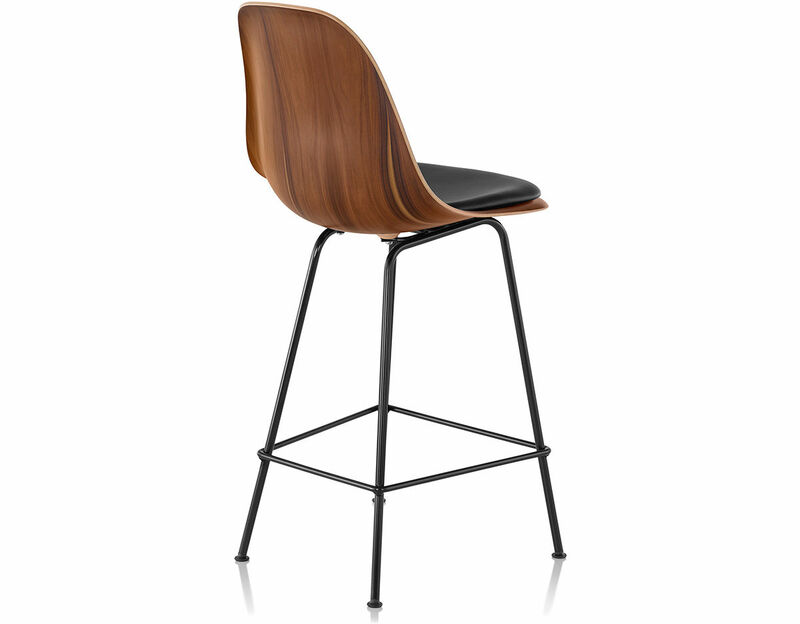 The result brings a touch of style to any setting. 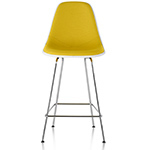 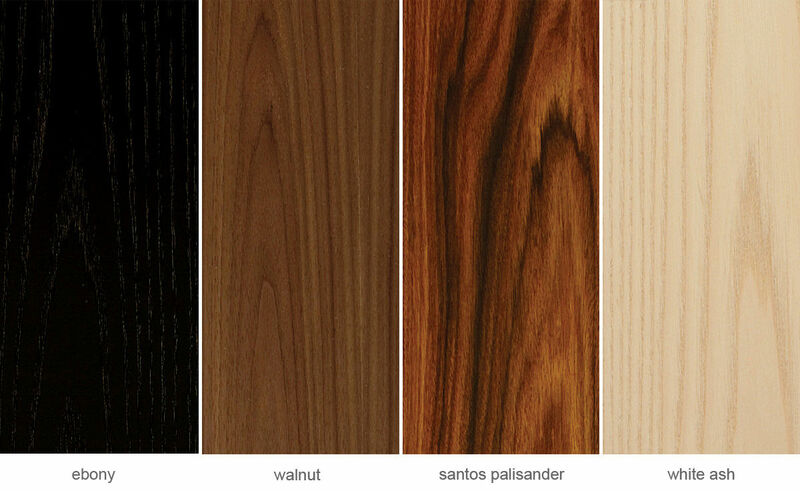 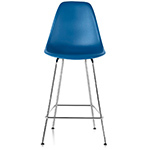 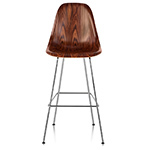 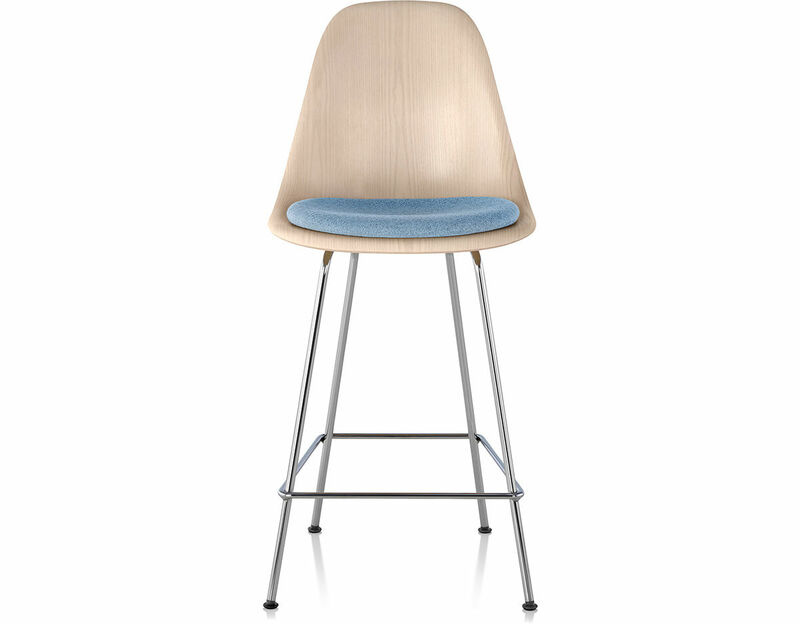 Eames Molded Wood Stools are available in several veneers. 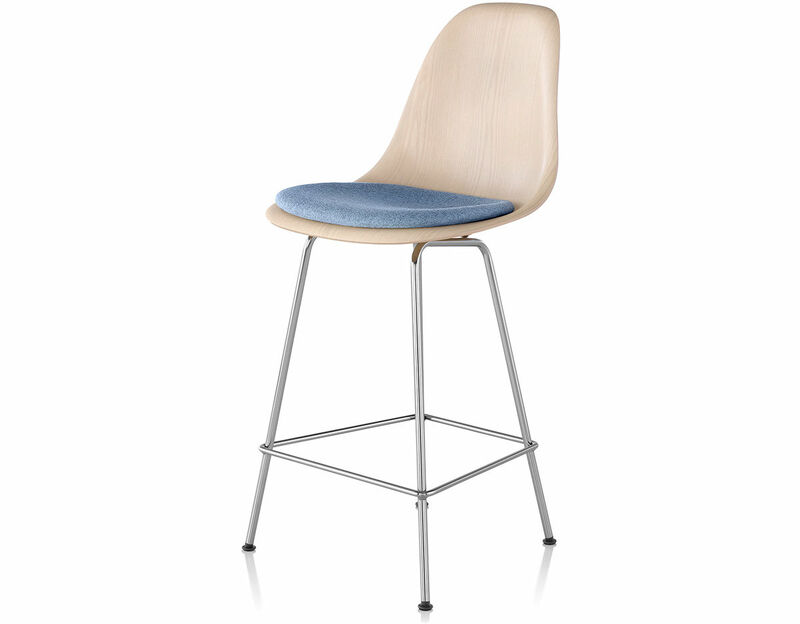 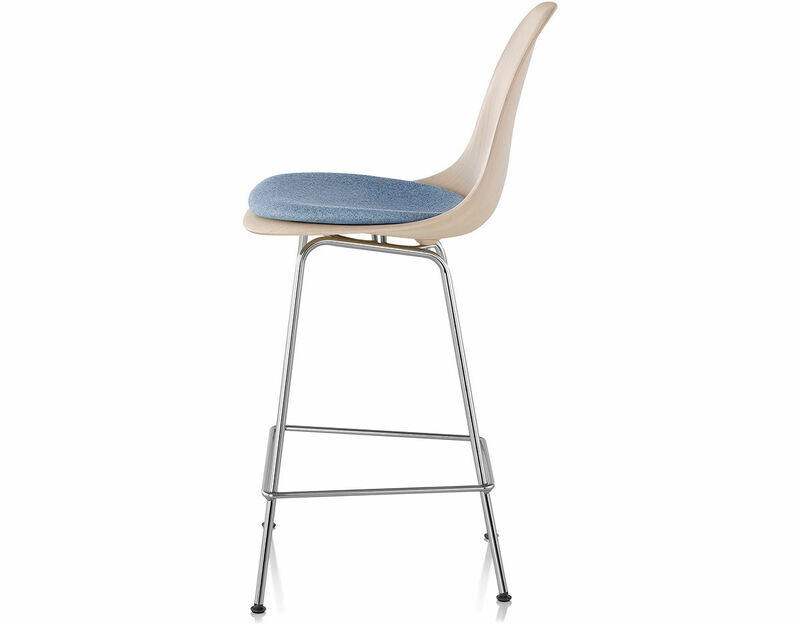 The 4-leg base comes in bar- or counter-height, and offers its own choice of finish options. 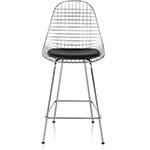 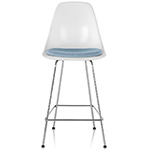 Black and chrome 4 leg stools have black glides while the white stool has white glides. 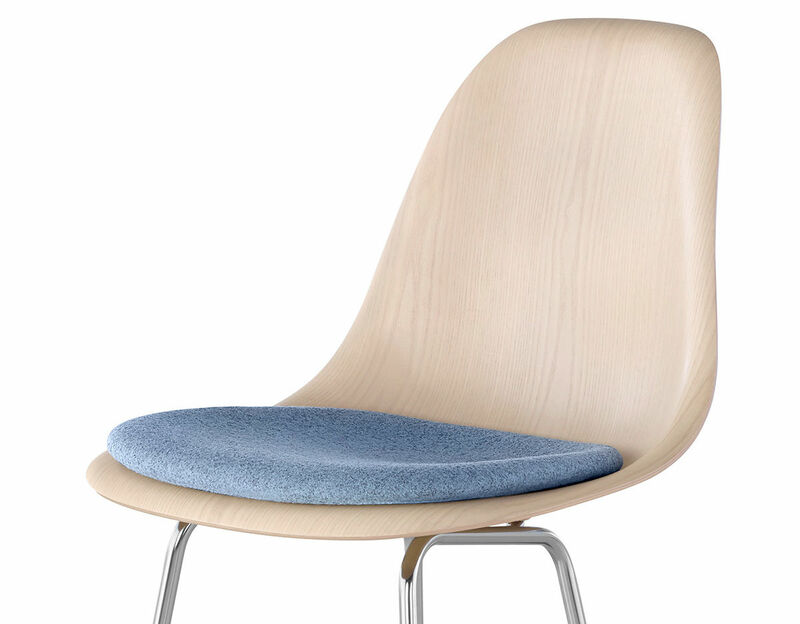 The upholstered seat pad comes affixed to the Eames molded shell and available in a variety of fabric or leather options. 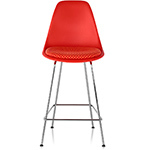 $1,135.00 + free threshold delivery in the continental U.S.